What are you wearing? 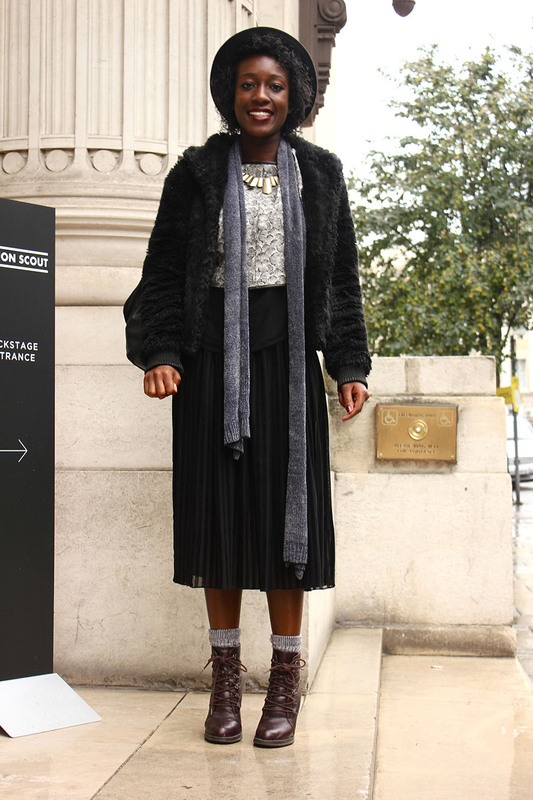 skirt by Motel, jacket, necklace and hat by H&M. Why are you here today? To watch some shows, the Erdem show was my favourite so far, and to generally to feel the atmosphere of Fashion Week. What are you wearing: Boots, Bag and Trousers from H&M.